This is Part II of our coverage of the Pipe Collecting on eBay Seminar from The Chicago Pipe Show. Part II is the question and answer session from Rob Cooper’s presentation. This is a lively discussion about buying and selling collectible pipes on ebay, customer service, and debate about the auction format and sniping services. 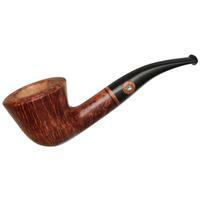 The discussion starts out specific to collectible pipes, and then relates to several general things that would apply to anybody buying and selling on ebay. Just as with the part I, I thought it was an interesting and educational discussion even though I do not personally participate in these activities. The way the business works, the challenges involved for both buyers and sellers, and how Rob has been successful with it are an fascinating story. I imagine it will be even more captivating if you are involved in buying and selling online. 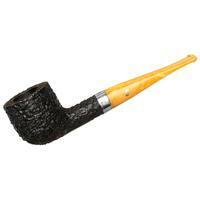 Rob Cooper is reportedly the #1 top seller of collectible pipes on eBay. If you are a pipe collector purchasing items on eBay, then this is probably not news to you. 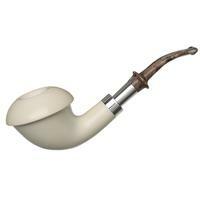 Personally, I’m more of a pipe smoker than a pipe collector, however, I did find Rob Cooper’s presentation at the 2009 Chicago Pipe Show to be quite interesting. He makes some interesting observations about the state of the pipe collector’s market and his profile of the typical pipe collector. 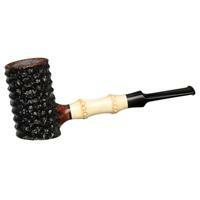 Do you think the market for pipe collecting is up or down in these times of economic turmoil? Read on to find out. You may be surprised.